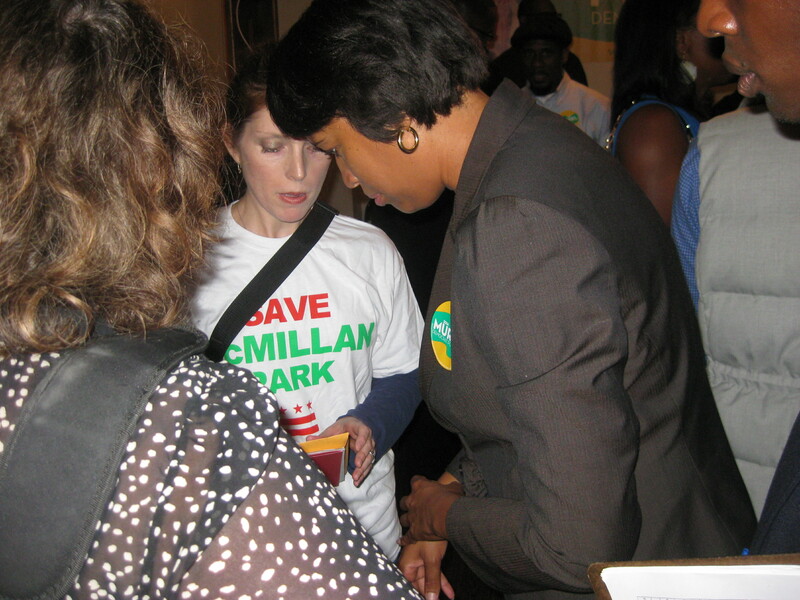 Mayoral candidate Councilmember Muriel Bowser has agreed to meet with a delegation from Friends of McMillan Park (FOM) to hear the organization’s call for her to support preservation of McMillan Park. The Friends delivered a formal meeting request on Thursday evening at the Bowser Ward 5 campaign kickoff that occurred in the heart of Bloomingdale on 1st and Bryant Streets, NW, just one block south of McMillan. At the campaign event, a number of Bowser’s supporters signed the FOM petition to save McMillan Park, joining the more than 5,000 other signatories from across the District. Bowser, however, declined to sign it. 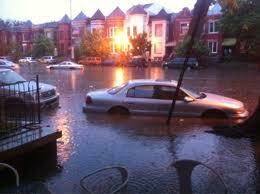 Councilmember Jack Evans has signed the petition. 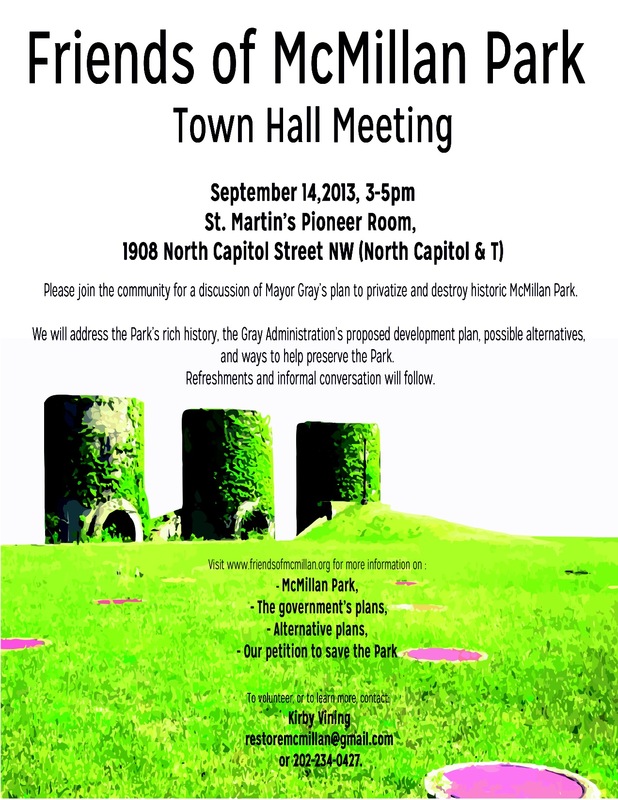 During the upcoming meeting with Bowser, FOM plans to ask her to oppose Mayor Gray’s plan to surplus McMillan Park, to closely examine the unusual relationship between his Administration and its development consultant (Vision McMillan Partners), and to support an international design competition for the adaptive reuse of the historic Olmsted park. FOM will also ask Bowser again to sign the petition. 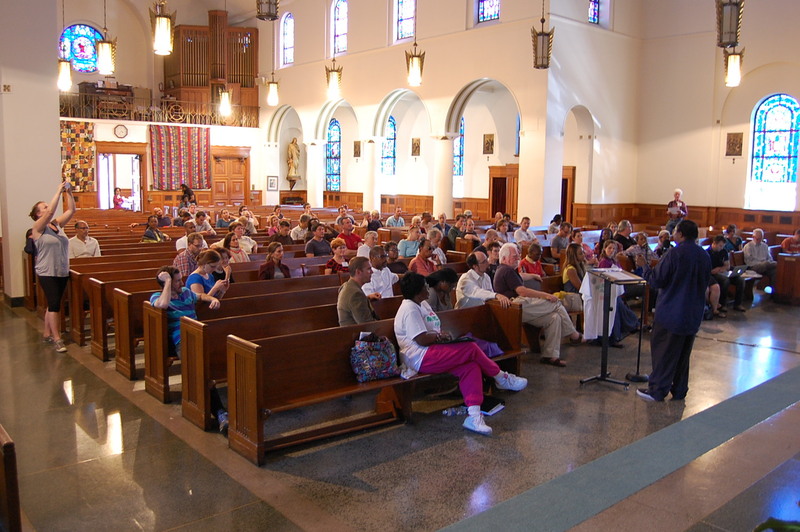 Friends of McMillan Park (FOM) held a Town Hall meeting on Saturday, September 14th in the sanctuary of St. Martin’s Church in Bloomingdale. On a beautiful early fall afternoon, the meeting drew over 100 attendees. A wide variety of speakers described the Gray Administration’s plan to destroy historic McMillan Park, discussed potential alternative solutions, and recommended ways for the community to join the fight. After formal presentations, everyone moved downstairs to the Pioneer Room for refreshments donated by local businesses—and for more conversation. Over the course of the afternoon, FOM collected dozens of signatures on its petition to the city government to reject Mayor Gray’s plan, bringing the total number of signatories opposing the plan to almost 4,800. The organization also did a brisk trade in sales of t-shirts, buttons, and stickers, netting hundreds of dollars to devote to the battle for the Park’s preservation. Hugh Youngblood, Acting Executive Director of Friends of McMillan Park, laid out FOM’s mission: to preserve, restore, and adaptively reuse historic McMillan Park for the benefit of the public. 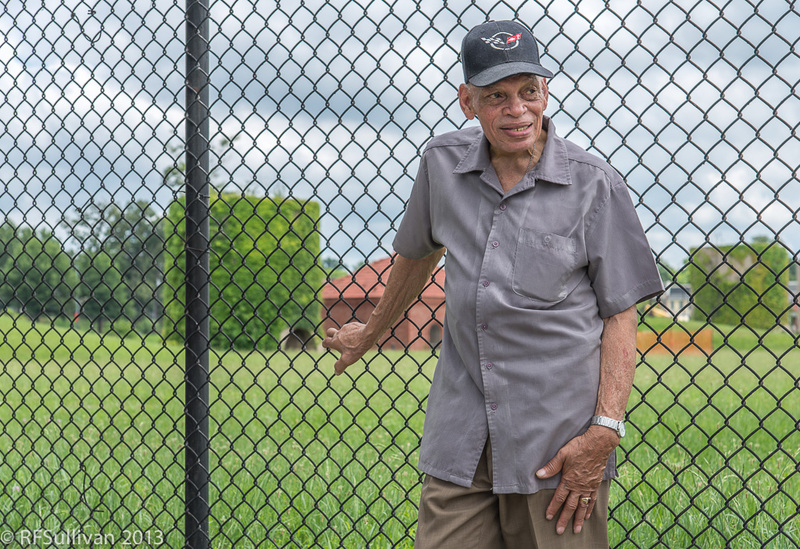 John Salatti, a former Bloomingdale Advisory Neighborhood Commissioner, introduced an oral history project in which the team has been documenting the stories of long-time residents who remember McMillan open as a public park. 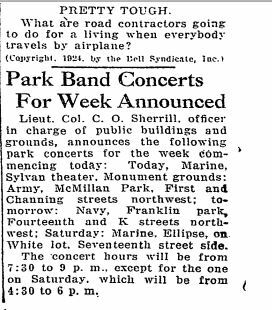 He played a clip from Ben Franklin, a 79 year-old Bloomingdale resident who reminisced about playing at the McMillan as a child and sleeping there when the weather was warm. “All this was in the ‘40s and ‘50s. You could walk or play in there. When my children came along this was all fenced in,” said Mr. Franklin. 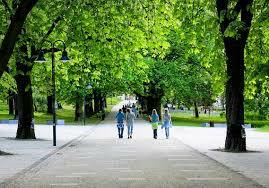 His description highlights the importance of the Park as an early integrated public space in the District. Tony Norman, Founder and Chairman of McMillan Park Committee (the precursor to FOM), reviewed the history of the site, beginning with its origin as a slow sand filtration plant designed to purify Washington’s drinking water, and as a public park included in the “Emerald Necklace” of Olmsted parks designed to ring the city. Because of the Park’s origins and its landmark status on the National Register of Historic Places, said Norman, the park is more than just part of the history of Ward 5; it’s part of the history of all of Washington, and therefore of the nation. Norman also spoke in detail about one alternative plan to transform the site designed by a team led by Miriam Gusevich of GM2 Studio. Norman emphasized ways that the alternative plan works with McMillan Park’s existing architecture and ecology, featuring an “urban beach” alongside the banks of a daylighted underground creek. Kirby Vining, Treasurer of FOM, presented an overview of the Gray Administration’s current plan for McMillan Park, which was developed by Vision McMillan Partners. He noted that the DC Historic Preservation Review Board described one of the plan’s structures, a large black box, as “a mausoleum.” Vining noted that the overall reaction to the lackluster official plan was very negative. Philip Blair of Brookland, a longtime advocate for preserving McMillan Park, spoke about seven core issues concerning any development proposals for the landmark, including the problems that the Mayor’s plan raises for storm water management, air quality, and traffic in the neighborhood. He also highlighted potential legal concerns with the current plan, as well as questions related to the lack of transparency in the process of public decision-making. He urged fellow activists to be conversant in all seven issues and to make themselves experts on at least one. Jean-Christophe Deverines, a Bloomingdale resident and anti-trust economic analyst, walked attendees through a slide presentation that demonstrated how many other cities around the globe have handled adaptive reuse of existing parks and public works facilities. Ranging from the Parc de Bercy in Paris to the Basilica Cistern in Istanbul to the Seattle Gas Works Park, Deverines’ presentation pointed out the potential for McMillan Park to become a truly world-class destination. Advisory Neighborhood Commissioner Mark Mueller of Bloomingdale reviewed the results of a door-to-door community survey that he and others undertook in 2012 to formally assess public opinion regarding the park’s future for the first time ever. Showing a host of slides with breakdown of the survey results, Mueller remarked on how consistent responses were: 85% of survey respondents want McMillan’s surface to remain at least 50% park. Mueller’s view is that such consistent results should carry a clear message to District politicians regarding what their constituents actually prefer. the loss of a unique park designed by the Olmsted firm. 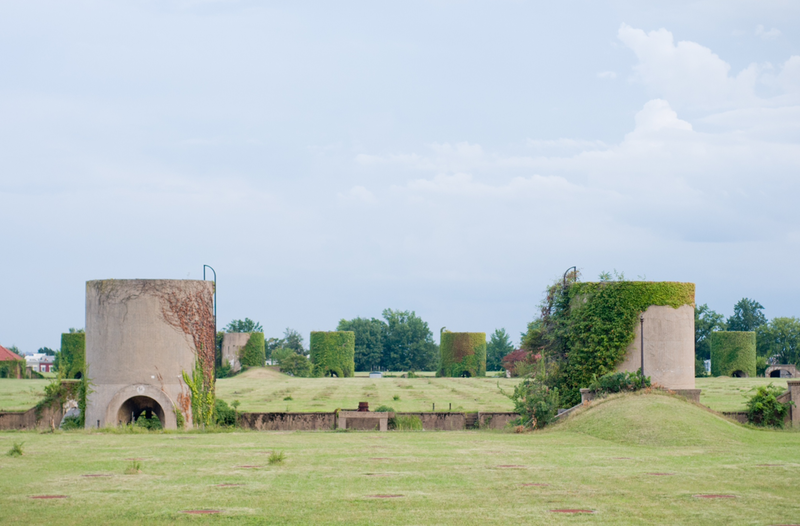 Friends of McMillan Park is urging Councilmember Muriel Bowser, chair of the Council’s economic development committee, to formally ask Mayor Gray to hold an international design competition to select the best proposal for adaptive reuse of the historic landmark McMillan Park Sand Filtration Site. Members of FOM are testifying at the hearing the Councilmember is holding on Tuesday, September 24th and will make this request in person. The Mayor, via his Deputy Mayor for Planning and Economic Development, is pushing the destruction of McMillan Park via a multi-million-dollar, sole-source, no-bid development consulting contract awarded to Vision McMillan Partners (VMP) (a consortium consisting of Trammell Crow, EYA, and Jair Lynch). This contract violates best practices regarding open bidding on public development projects. The Mayor’s plan also includes hundreds of millions of dollars of cash subsidies to the private developers in addition to the proposed sweetheart giveaway of invaluable public parkland. To make matters worse, in an effort to maximize profits, VMP has gutted the Mayor’s plan of senior and affordable housing. 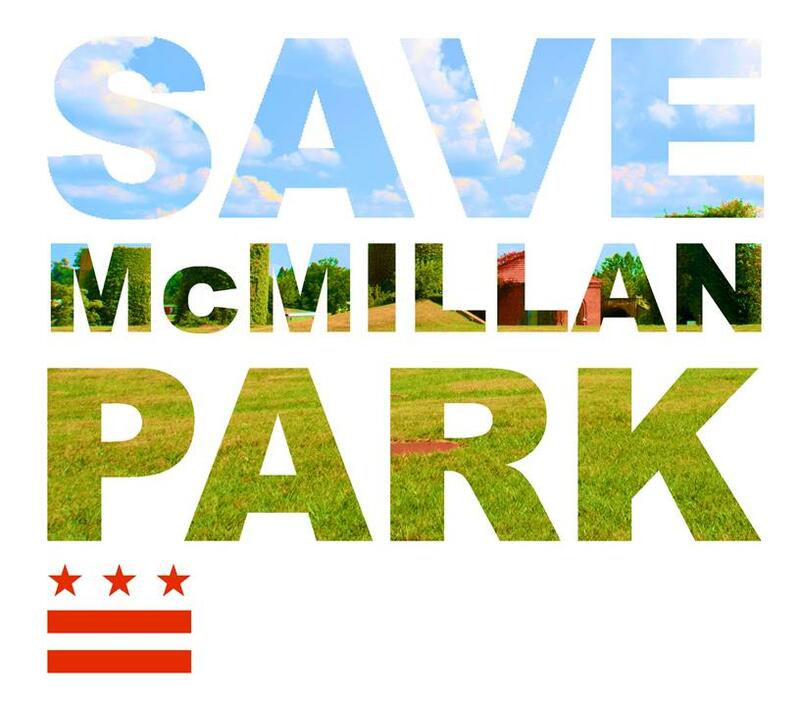 FOM has collected over 4,500 handwritten signatures (about half from Ward 5) on a petition to save McMillan, one of DC’s first de facto integrated parks. The Mayor’s plan for McMillan Park includes 12-story buildings and minimal park space, which would lead to traffic gridlock and increased neighborhood flooding. Held in St. Martin’s Church on North Capitol Street, the town hall attracted some 100 attendees. Saturday was a great rally, updating people on what’s happening in the quest to preserve McMillan Park. “I hope that everyone was inspired to keep up the hard work and find new areas of interest to advance the cause of saving McMillan,” wrote a supporter afterward. Take a look at the slide presentations from the meeting to find out what happened. On Saturday, September 14th, from 3 to 5pm, Friends of McMillan Park will host a town hall meeting at Saint Martin’s Catholic Church at 1908 North Capitol St. NW, (Pioneer Room). 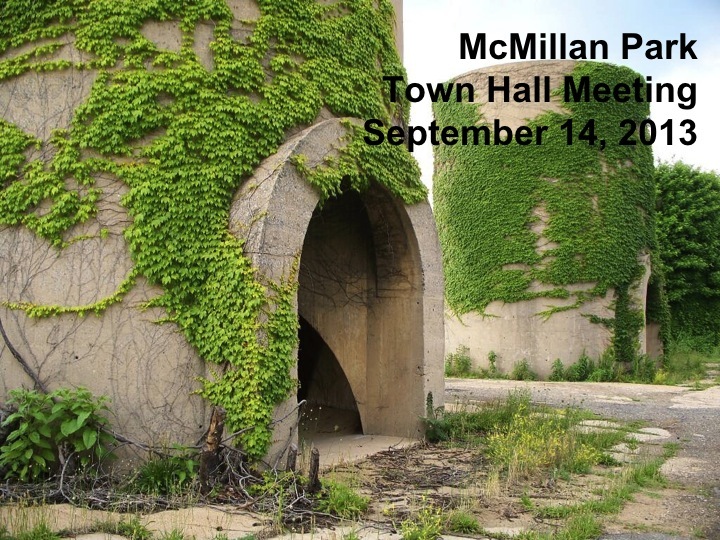 The meeting will provide an opportunity for the community and invited elected officials (Gray, all DC Council Members including mayoral candidates; Evans, Bower, and Wells) to educate themselves about the site’s history, Mayor Gray’s development plan, and the objections and alternatives to those plans for the McMillan Sand Filtration Site. Speakers at the meeting will address McMillan Park’s rich history dating back to the turn of the 20th century, explain in detail the administration’s development proposal and its negative impacts, and highlight creative alternatives that the Mayor has yet to consider. The event will also include a focused discussion of the issues, followed by an opportunity for questions from the community during the second half of the meeting. FOM, in close collaboration with the Army Corps of Engineers, had planned to host a tour of the Reservoir side of McMillan Park the morning before the Town Hall meeting to familiarize the community with the beauty and historical significance of the site’s structures. 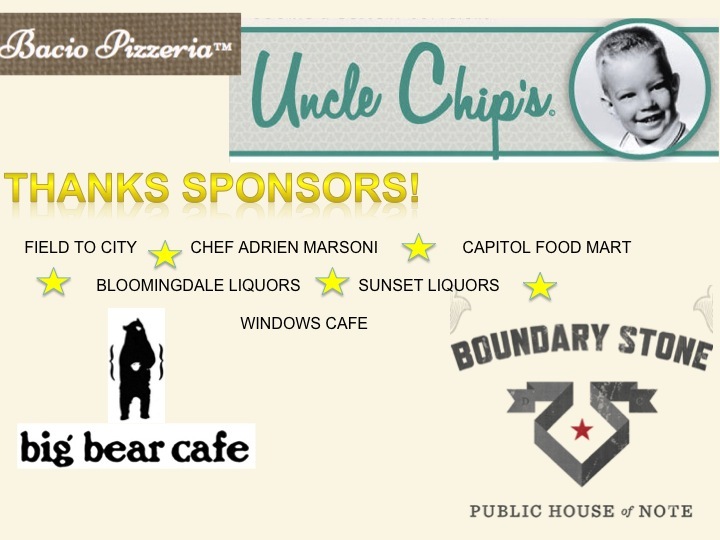 Unfortunately, scheduling conflicts postponed those plans until later this fall. “Our goal for the town hall meeting is to help educate every concerned citizen who will be affected by whatever happens at McMillan Park about the potential impacts. We want every resident of the surrounding neighborhoods to be fully informed about the Mayor’s plan, and we want them to know that there are many other options for developing the site beyond what the Mayor proposes. A broad array of adaptive reuse projects from around the globe serve as examples of creative alternatives for transforming McMillan Park into a world-class destination,” said Hugh Youngblood, a member of the Friends and a former ANC commissioner for southern Bloomingdale. Friends of McMillan Park opposes the Mayor’s plan for the site because it calls for over-development, high-rise buildings, and would create grid-lock traffic for the area. Councilmember Tommy Wells met last Tuesday morning with Friends of McMillan Park and stressed historic preservation, sustainability, education, and green space as important goals for McMillan Park’s future. Wells’ position contrasts with the Gray Administration’s plans for intensive development, plans that would bring high-rise buildings, gridlock traffic, and destruction of most of the historic park. Wells said that he wants to help FOM achieve its goals of preserving, restoring, and transforming McMillan Park, adding that good planning starts with good architecture, rather than with developers. “It is important that we develop the McMillan site with the input and support of the community and in a manner that increases the ability of residents to live, work, and raise their families here,” said Councilmember Wells. In the meeting with members of FOM, Wells remarked that since DMPED now prohibits the popular community-sponsored tours of McMillan Park, it is very difficult to educate residents and others about why the site should be saved. He offered to visit the site with relevant Advisory Neighborhood Commissioners to gain first-hand experience of the Park’s historic vistas and majestic underground caverns. Wells noted his opposition to constructing high-rise buildings at McMillan Park, in part because of the intense traffic that they would generate and the resultant negative impact on the walkability of the surrounding neighborhoods. Wells also remarked that he opposes raising the federal height limit for development in the District as there are still areas of the city open for growth and construction not yet being utilized. Friends of McMillan Park plans to meet with the other mayoral candidates, as well as contenders for the DC Council. The McMillan Park Committee, a close ally of Friends of McMillan Park, prevailed in its Freedom of Information Act (FOIA) lawsuit against the District of Columbia, McMillan Park Committee v District of Columbia (DC Superior Court 2010). On August 5, 2013, the DC Superior Court issued an order requiring the District Government to release by September 6, 2013 a large volume of public documents held in secrecy, including communications and arrangements with the Government’s development consultants, Vision McMillan Partners (VMP). 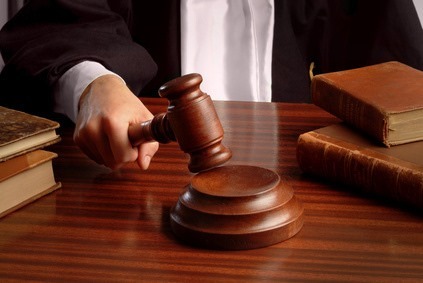 In general, the Court found that the District Government could not withhold all relevant documents simply by claiming without any merit that the documents were “Confidential and Exempted”. “This is a major step forward towards transparency. The District Government has unusual arrangements with VMP on the McMillan development project, and these documents will shed more light on those arrangements, which are essentially sole-source contracts”, said Tony Norman, Chairman of McMillan Park Committee. McMillan Park Committee was represented by the Georgetown University Law Center Institute for Public Representation in the FOIA case. The court order will result in the release of several key public documents including the Government’s term sheet and public-private partnership agreement with VMP.